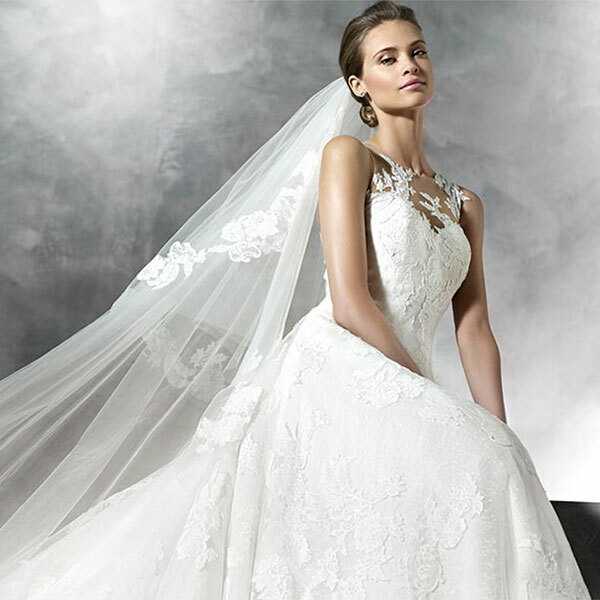 La sposa is an exciting collection for us to have instore. Dresses are made in Barcelona and quality is second to none. They are under the Pronovias fashion group which has long been a highly regarded name within the Bridal industry. 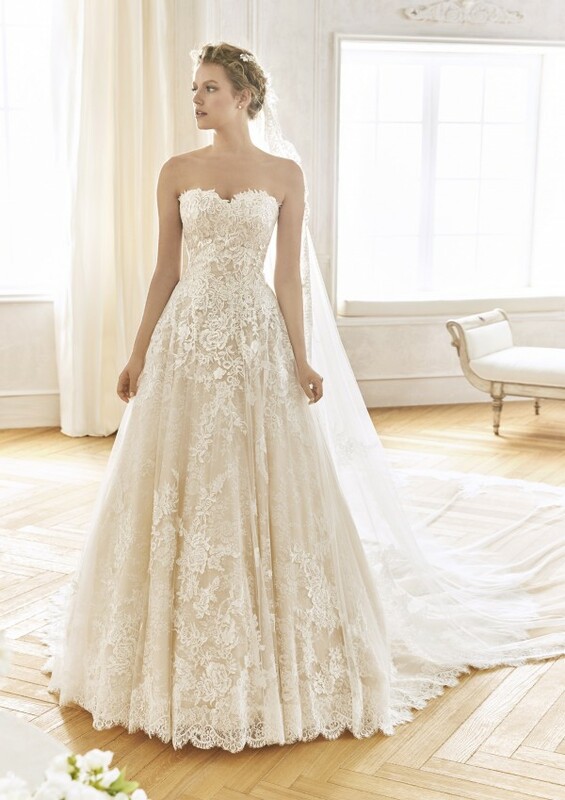 La Sposa offers romantic dresses which incorporate ruffles, lace, bows, illusion necklines resulting in truly unique dresses for our brides. 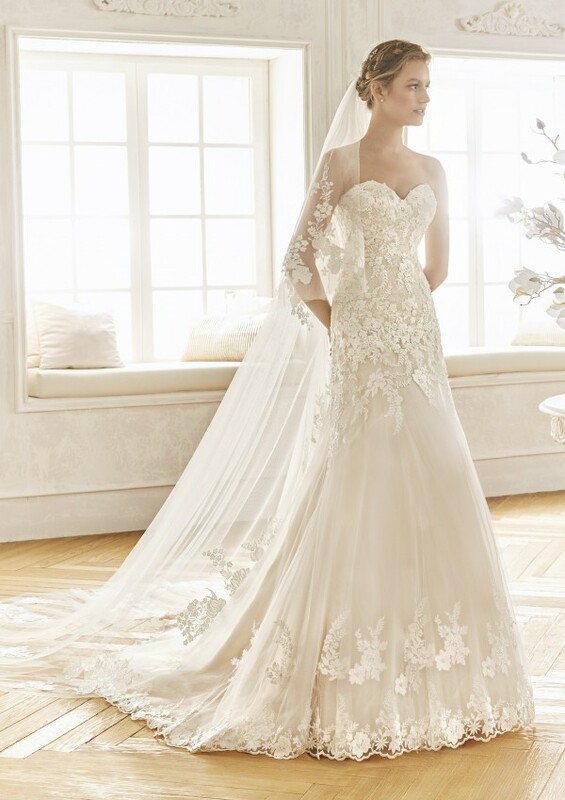 We say... an extremely elegant, form fitting fishtail lace gown. We say...you'll love the embroided lace. We say...the train is amazing!